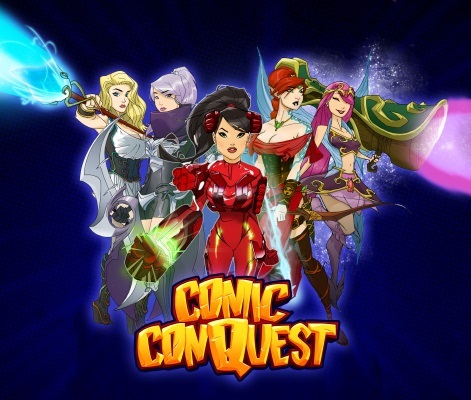 Comic ConQuest is a party-based tactical RPG designed for web, iOS, and Android with a planned early 2014 release. 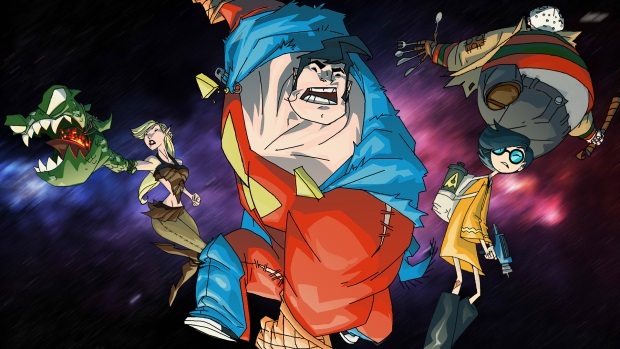 Players have found themselves in a comic con gone wrong: costumed fans attending a local con are trapped inside the convention center, transformed into the characters they're cosplaying as by a mysterious villain known as The Hoarder. Their cotton capes, cardboard swords and plastic plasma rifles have all become real, along with a host of super (or not-so-super) powers. Amazing Comic-Style Art: Emmy-award winner and well-known comic artist Jeff Matsuda brings his distinctive style to the game! Extensive Customization: Change up your costume, tweak your abilities, and upgrade your booth to provide your character with special powers! Monthly Content Updates: New maps, exclusive items, celebrity villains, and a whole lot more! In-Game Trivia and Previews: Outwit your opponents with your vast knowledge of all things geeky, or take a break and watch the latest trailers and exclusive content in this virtual con. 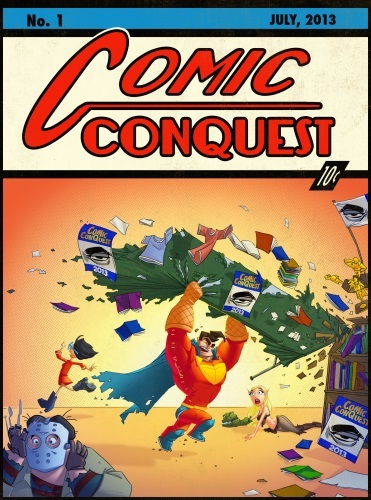 Comic Conquest is set to change the way you view Comic Con forever with a F2P Tactical RPG playable on your browser or phone.